Preparing for a wedding is one project which requires military style planning or the closest thing to it. There are decorations and styles which need to be chosen, vendors to be hired and guests to be invited. But it doesn’t all have to be one endless chore with no hope of respite. Especially since there have never been as many helpful apps to assist you in setting those plans in motion. And if you’re wondering just where to begin with what may occasionally appear to be a vast and overwhelming selection, you needn’t worry. 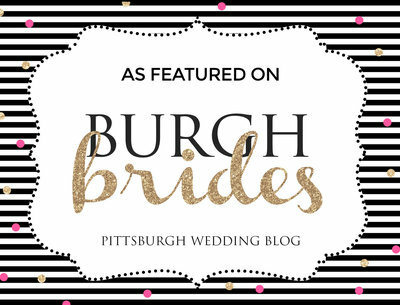 My extensive experience as a wedding and engagement photographer in Pittsburgh means that I have become acquainted with quite a few of them. And today, I will be sharing some of my favorites with you. I invite you to continue reading this post to find out some of the most amazing apps which can make a great difference when it comes to those wedding plans. Wedding Day Timeline: Every bride dreams of making a show stopping entrance, poised and regal at the start of the ceremony. And yet nothing is more likely to threaten that moment of serene allure than the frantic activity which not even the most careful planning can seem to allay. And that’s where this awesome app comes in. With Wedding Day Timeline, you will not only be able to plan the most minute detail, but also keep your vendors and team posted too, ensuring perfect coordination and that fairy tale entrance too. Wedding Lookbook: If there’s one thing brides all over the world can agree on, it’s the fact that the one factor guaranteed to set the tone of any wedding, is its style. And what better assistance can there be than an app which not only shows you the very latest styles for wedding gowns and rings, but also shows you where you can get them in your city? There’s no doubt that Wedding Lookbook is one app which will ensure you not only get to look radiant, but also get to have an awesome wedding photography session too. GigMasters: Wedding vendors are an all essential part of planning for your big day and the last thing any bride wants or deserves is a professional whose delivery falls short on her big day. But thanks to this app all your wedding dreams can come true. And that’s because it will provide you with vendors who have the very best reviews. Whether you’re interested in caterers, decorators, disc jockeys or wedding photography professionals, you will not only be able to find exactly who you need but book them too. The ability to plan each minute detail ensuring perfect serenity on your special day; to not only be able to view to the prettiest dresses and jewelry, but find them too; and the opportunity to book the very best vendors. That’s the stuff wedding dreams are made of, and the outcome you deserve. Best of all it’s all within your reach. All you have to do is avail yourself of these wonderful apps and experience the magic as it unfolds.